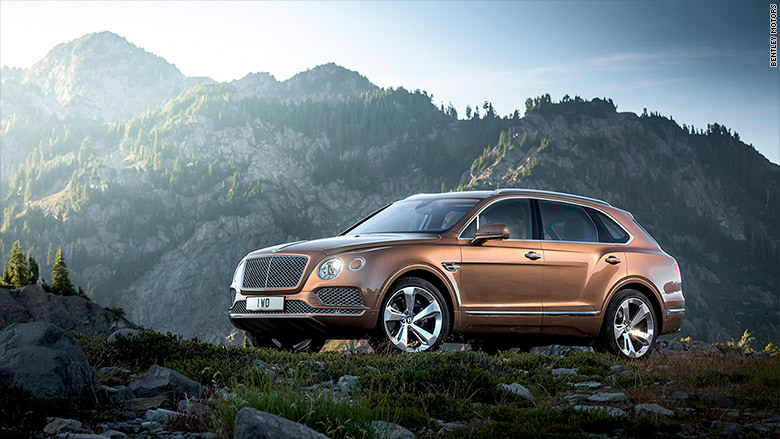 Bentley last week announced that its new Bentayga will be the fastest SUV in the world. But the world's first good look at the Bentayga didn't come until Tuesday when Bentley released official images of its latest model. The Bentayga has all the traditional Bentley design elements including the famous mesh grill and B-shaped side vents. All this elegance will not come cheaply, of course. Prices for the Bentayga are expected to start at about $230,000 before any available options are added in -- and there are many. Still, Bentayga buyers will get an SUV some fairly unique capabilities.